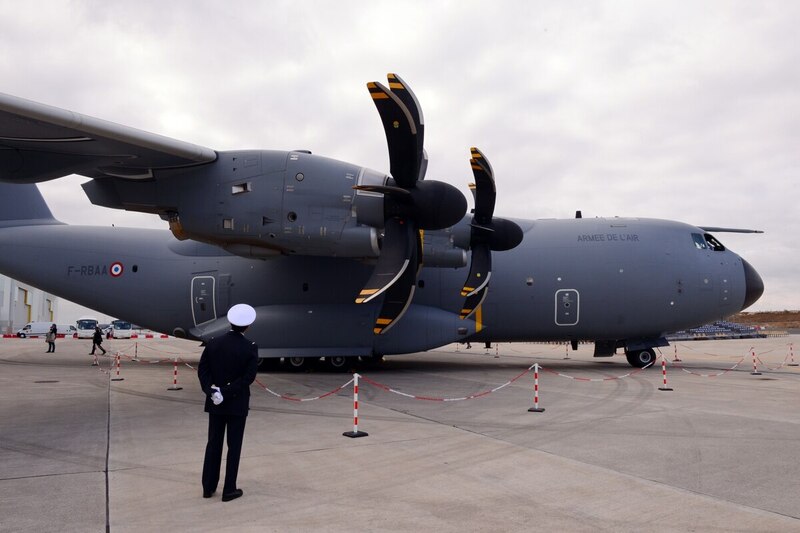 Paris – The European authorities are due to certify a modified Avio propeller gearbox in September, an interim solution required after a crack was found on the present equipment on the Airbus A400M airlifter, French defense-procurement chief Laurent Collet-Billon said. A new gearbox is needed following discovery of a crack in the existing system, which led to a tightening of routine inspection between flights. If the European Aviation Safety Agency delivers a certification of the propeller gearbox in "early September," Airbus Defence & Space can fit the equipment to the engines and allow hundreds more flying hours between inspections, the chief of the Direction Générale de l'Armement procurement office said on Tuesday at the Eurosatory trade show, which closed June 17. Industrial work on a new gearbox is being backed by Avio's US parent company, General Electric. "They are serious people," Collet-Billon said. Fitting the new gearbox is "indispensable" and would allow the plane to fly hundreds of flight hours between checks. After the crack was discovered, the present gearbox is inspected after every 20 flight hours and an initial 200 hours. The plan is for an "intermediate solution" to be certified in September, to be followed by a new gearbox as a long-term response, a DGA spokesman said. The DGA took delivery June 8 of its ninth A400M, fitted with a self-protection kit and other "tactical capabilities," the procurement office said in a statement. Having defensive countermeasures is a key requirement for French pilots flying the A400M in the skies over sub-Saharan Africa in the Barkhane mission. Other features on the newest French A400M include the capability for parachute drops, use of short runways, refueling fighter and transport aircraft, and being refueled, the DGA said June 15. France expects to receive this year two more new A400Ms in the tactical standard, with a retrofit of three units already in service. The Air Force has long requested the "tactical" version to extend the mission beyond a simple cargo plane. An in-flight refueling of helicopters is among the requirements, but that capability will take more time to deliver, along with the parachute drop from both sides of the fuselage. Eight nation clients – Belgium, Britain, France, Germany, Italy, Turkey and Malaysia – are waiting for a new delivery schedule for the A400M. The timetable will set out the revised plan for production and upgrades for the turboprop plane.